Giving your dog the best dog winter boots is important, especially when the outside feels freezing cold. Dog paws are more fragile than you think, and having snow and ice too much in contact with the dog’s pads could cause health complications. Make sure you always have winter paw protectors ready at all times! Winter calls for a crucial time with extreme weather conditions when your dog needs some extra care and protection. Just as we cover ourselves in jackets, coats, and gloves, our furry little one to needs optimum winter clothing. Winter boots are one of those much-needed winter accessories that protect the paws of your dog from snow, ice, salt, and deicers. My Busy Dog Water Resistant Dog Shoes are one of the best dog boots for winter, thanks to their rugged design and capability to last longer. It falls in the category of the most well-made snow boots for dogs and boasts of sturdy design, offering a blend of maximum comfort and paw protection for your dog. Being water-resistant in nature with anti-slip rubber soles, it ensures that your pooch gets an amazingly superior grip on ice, slippery floors and loose rocks. The rubberized outsoles further promise a firm plantation of your doggy’s paws on the ground, irrespective of its surface. The My Busy Dog winter dog shoes are very convenient as the two adjustable and reflective velcro straps call for a perfect fit. These reflective straps also ensure additional safety for your dog in low-light conditions. My Busy Dog shoes for winter are made of high-quality materials, which ensure durability regardless of how active your little furry one is. A striking aspect is its sewn fabrics stitched together instead of being glued, thereby, echoing strength and comfort. Available in varying sizes and colors, these dog shoes can be considered as some of the best all-terrain footwear for your outdoor-loving dog. The smart look and the promise of maximum warmth, protection, and durability of this boot will surely make your pooch falls in love with it and gets set for a fun-filled outdoor time in the winter. 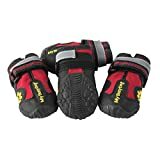 The Ruffwear Summit Trex Paw Protection for Dogs comes from a very reputed brand in the industry and is considered one of the best paw protectors for dogs in the most extreme temperatures and abrasive surfaces. Boasting of high-quality materials and the promise of maximum warmth for your dog’s feet, this one is a sturdy pair of dog boots for dogs who simply love to run around and walk outdoor, irrespective of temperature and weather conditions. The Ruffwear Summit Trex Dog Paw Protectors come in 8 different sizes and are, therefore, suitable all breeds. Alongside durability and the ability to function well on all types of surfaces, a striking feature of the boot is its perfect fit. The adjustable closure strap lets you customize the fit depending on the size of your dog’s feet and his comfort. The upper portion of this dog boot is weather-resistant while the entire boot comes with an integrated stretch gaiter. 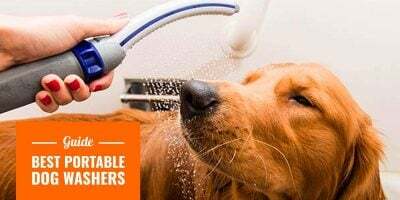 This works effectively in locking out all the moisture, debris and dirt that your dog gathers while he/she is on a long hike. Thus, no matter how long your pooch has been walking and whatever ice, snow etc. he/she has been stepping on, the boots ensure that his/her paws remain warm, clean and dry throughout. The reflective straps, on the other hand, let you keep a watch on them even in low-light conditions. The Ruffwear Summit Trex Everyday Paw Protectors are also one of the most popular winter boots for dogs because of their perfect blend of sturdy design and lightweight nature. 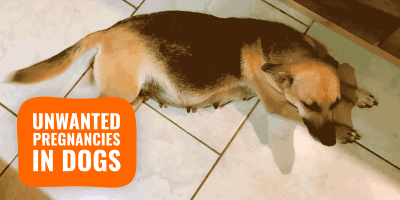 They do well for daily walks and exercise sessions! The Muttluks Fleece-Lined Dog Boots are one of the best dog boots for snow, promising them with enhanced warmth and protection of their foot. These are no fancy boots and are ideally suited for extreme weather conditions. As the very name suggests, the boots contain an inner fleece lining, capable of maximum heat retention and therefore, keep your dog’s paws warm and comfortable throughout. Further, these well-made, durable boots come with self-tightening straps, which get adjusted according to the size of your dog’s feet. As such, you will never have to worry about the fitting of it. Your dog will be secure in these boots, without the risk of tripping or hurting his feet. The Muttluks Fleece-Lined Dog Boots are made up of genuine and high-quality leather soles. This not only makes the boots last longer but also make sure that they are soft on your pooch’s feet even if he/she has to wear it regularly for a long time. The stretchy leg cuff, on the other hand, improves the adjustability quotient of these boots. 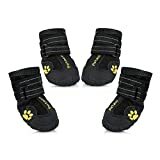 Overall, these are among the best dog boots for winter and their smart and chic look ensures that your dog will simply be in love with his new pair of boots. The Muttluks fleece-lined dog boots are available in varying sizes and it is advisable to check the size chart to bring home the best fitting boot for your pooch. The Petacc Dog Boots boasts of a sturdy built using flexible PVC and is one of the popular dog snow boots known for its durability and comfort. Made of water-resistant material, the boots ensure that your dog’s paws remain warm, dry and comfortable regardless of the snow and debris that he walks on. Wearing these boots, your dog will have no chance of slipping or skidding on the slippery floors. Being rugged in both design and nature, the boots are machine washable, which ensures easy and hassle-free cleaning. The Petacc Dog Boots come with an ergonomic design to ensure easy wear for your dog. As such, the boots are incorporated with a wide split seam and firm fastening double Velcro straps. 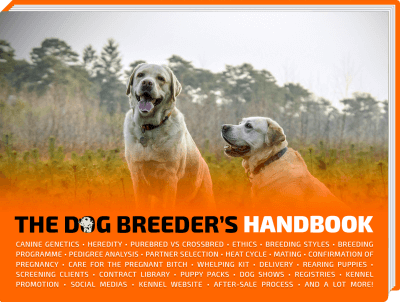 The latter obviously calls for heightened adjustability and a perfect fit for your dog’s feet. The boots are soft enough to make your dog feel comfortable irrespective of how long he has been wearing it. Also, these are among the most fashionable dog boots for winter that are available out there. These cold weather boots can fit dogs from 30-80 pounds depending on the size you choose as these are available in a wide variety of sizes. The only downside of this boot can be the Velcro straps that can come out loose at times. However, a careful choice of size should ideally avoid this problem. Overall, it is a good winter boot option with great value for money. 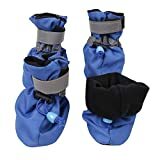 The Pawz Water-Proof Dog Boot is going to be the ideal dog winter boot if you are looking for cheap winter boots that you can dispose off after the winter is gone. 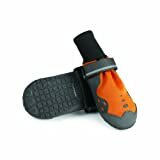 It is one of the most convenient winter boots for dogs that offer maximum protection from adverse weather conditions, ice, snow and slippery floor for your dog’s feet. This particular product’s most striking feature is its protection against allergies resulting from cold weather (including ice, snow, etc). If your pooch is prone to feet allergies, make it a point to get him/her these boots whenever he/she goes out in the cold. The Pawz Water-Proof Dog Boots provide great traction control and are ideally suited for dogs that are facing difficulty in walking after therapy or surgery. Cleaning this boot up is pretty much hassle-free. Since, these boots come in the shape and form of a deflated balloon, putting them on the feet of your dog requires you to be a little careful. 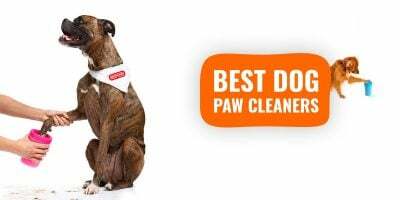 Start by stretching out the opening of the boots and gently squeeze your dog’s paw into it. Once it gets fitted, stretch this opening over the remaining part of the paw. The more you use it, the easier it gets. The Pawz Water-Proof Dog Boots are certainly among the best value dog winter boots you can find out there. 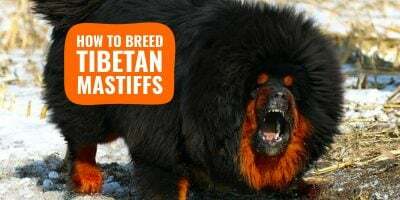 It comes with several special features like traction control making it all the more suitable for dogs with some specific needs. Use it for one season, make the most of it and buy it again next winter. The Royal Wise Pet Booties are ideal for dogs that are reluctant to wear boots because it makes them uncomfortable. These winter pet shoes are made of breathable nylon that makes them amazingly lightweight. The boots don’t even make your dog feel like something is on his/her feet. These much popular dog boots are suitable for not just winter but throughout the year in all weather conditions. So, these can act as great paw protectors for your dog from both snow and heat. The Royal Wise Dog Boots are easily washable, which means that you can get rid of all the mud and debris that accumulates on the boots due to your dog’s long walks on muddy pavements. The most striking feature of this boot is its soft and flexible elastic band and anti-slip soles design. The straps are reflective, which guarantees increased security for your dog even in low light conditions. The Royal Wide Dog Boots are NOT the most rugged dog boots that you can buy. However, this is not a downside because the boots are meant for the smaller breeds for dogs like Poodle and Schnauzer. Even the largest size won’t fit the paw of a larger breed. These boots, which offer good value for money, can be used indoor as well. Winter boots for dogs should be chosen based on the material, grip and most importantly, comfort quotient. 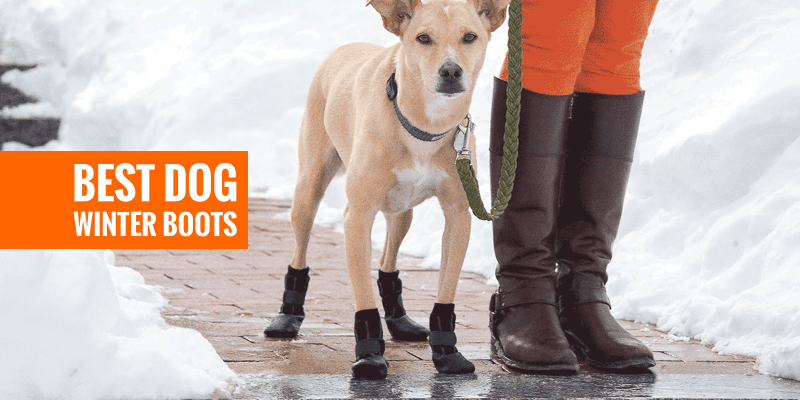 With winter already setting in, look for these dog boots for snow and winter for your pooch. Obviously, pick a model that you also enjoy the look of, but comfort and weather protection matter way more than colors and patterns! Royal Wise is the best choice for my doggy.